To pre-buy or not to pre-buy? A succession of mild winters, volatile pricing and tight cash flow has led some marketers to delay their propane purchases going into this year’s heating season. 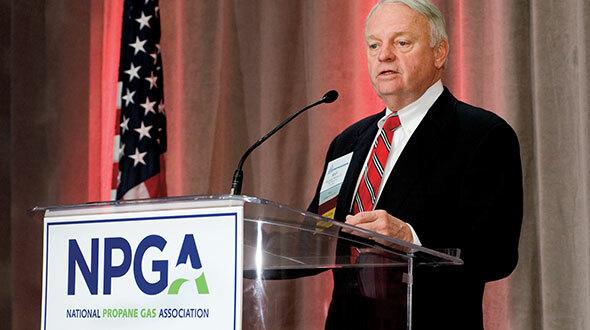 “I’m sure they’re making individual decisions about pre-buys, but it hasn’t been the hot topic like it has been in the past,” says Thomas C. Osina, executive director of the Mid-Atlantic Propane Gas Association. He was expecting to see a clearer picture by September or October. “The pre-buys have not been as much as in the past,” says supplier John Gawronski, vice president of wholesale marketing and transportation for Target Liquids Marketing and Trade. However, another national supplier – reluctant to comment publicly – is experiencing an opposite approach as pre-buys are running 10 to 15 percent ahead of last year. This company reports that with all the volatility in the marketplace, they’ve looked at trends in an attempt to discern what lies ahead. They feel that traditionally the first quarter is the best time to pre-buy, but thinking that far ahead has been a struggle for most of the retailers. They express reluctance over accurately forecasting consumer demand and what the market will bear in terms of price. The nationwide shortage of trucking assets, as in achieving on-time deliveries, also remains a critical concern. Uncertainty abounds in the industry, bringing with it a pronounced unwillingness to load-in too much supply before customers actually sign for their purchase – which, of course, would allow retailers to lock in a suitable profit margin for their supply. Not only is there a cash flow issue, there’s also a price risk as the cost variables collide with the usual unpredictability over how low temperatures will fall this winter, according to Gawronski. The equation is further complicated by world events, the ever-rising cost of crude oil, infrastructural lapses and other assorted bottlenecks. At press time, the overall impact of the British Petroleum pipeline issue in Alaska remained fluid. As the pipeline story broke, the U.S. Department of Energy’s Energy Information Administration (EIA) quickly revised its petroleum pricing predictions. Propane’s average price over the 2006-07 heating season is anticipated at $1.99 a gallon, compared to last year’s $1.95, according to Gamson. Of course, international events are capable of wreaking considerable havoc within the energy arena. Several hotspots could be unsettling to the propane picture. The conflict between Israel and Lebanon especially bears watching. Supply-wise, the nation as a whole is good to go, according to David Hinton, an EIA petroleum industry analyst. “We’ve had a pretty good build-season, particularly coming off [last year’s] hurricane season,” he says. During July, U.S. propane inventories grew by nearly 9.6 million barrels, a level that surpassed the most recent 5-year average of about 7.3 million barrels and nearly matched the all-time record of more than 9.6 million barrels set in July of 1986. “We’re at 60 million barrels in early August with at least two months left,” says Hinton. Hinton anticipates that it will top off at 70 million to 80 million barrels by the time the snow flies. He notes how the nation’s vast petroleum-related apparatuses along the Gulf Coast remain vulnerable to destructive storms. “It all will be weather related: the hurricanes and then winter after that,” he says. But don’t ignore autumn’s possible impact, Hinton advises. This summer’s heat wave could easily give way to a wet fall. As harvest season unfolds, the industry should keep an eye on crop drying. A late spike in the crop drying market can impact propane supply and price, causing a spike. A mild winter is likely to result in stable pricing, Hinton believes. If the mercury sees a precipitous, sustained drop, expect demand and cost to rise accordingly. As the heating season approaches, Hinton advises marketers to line up suppliers at a set price. Emery feels that spillover from last year is leading to cash flow issues heading into this season, which is a real weak spot in the industry. He encourages marketers to make arrangements with their bankers to ensure that they have enough money on hand. He advises companies to make sure they have lines of credit for high prices around the corner, because if there’s a harsh winter and sales are up, the cost will be high and it will stretch everybody. If a Middle East snafu causes crude oil to go to $100 a barrel, it’ll strain everybody’s cash all the way through. Everybody along the line needs to get paid, and if they can’t get product they’re out of business, according to Emery. He also advises that if you charge market price you need to maintain your margins. He also urges marketers to review potential customers’ credit ratings prior to signing them up. Wayne Terpstra, vice president of the Western Region for Liberty Propane, agrees. Most of Liberty’s pre-buy action is coming through school districts, municipalities and other large institutional users. 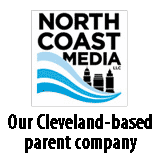 As of late summer, marketers were not buying for customers yet to be signed up, Terpstra reports. For retailers in the North Country, it’s a guessing game as to how much to pre-buy, according to Roger Leider, executive director of the Minnesota Propane Gas Association. With gasoline’s escalating cost, the media is doing a good job of informing people about high-energy prices, so marketers aren’t getting the complaints they got last year, according to Leider. Leider also mentions that a lot of customers have come in and pre-bought, even though the pre-buy price is higher than last year’s. Others, however, are dropping propane altogether. “We’re going to continue to see the alternatives to propane – electricity and fuel oil – go rampant,” Leider says. He also says that his members are hearing from former customers who are investing in $2,000-plus heating systems fired by wooden pellets, and they’re not likely to come back to propane. 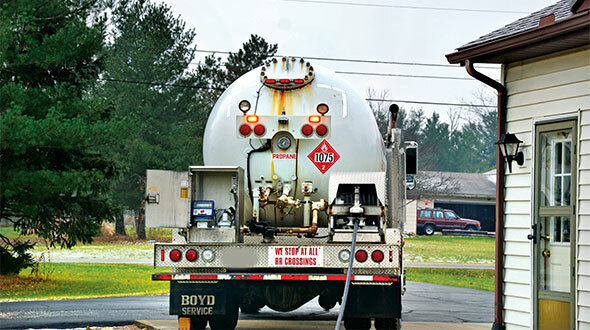 At Shrocks Dri-Gas in Kokomo, Ind., owner Sandy O’Reilly has purchased 450,000 gallons of propane; about a third of what she anticipates selling this year. She’ll have a better handle on volume once the corn crop is in. Often, her pre-buy gas is for the dryer season. She does not advertise to homeowners that fixed pricing is even available. 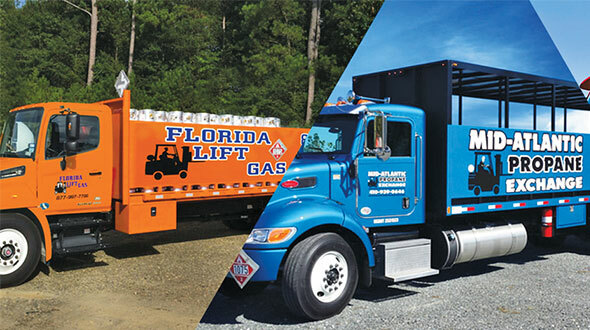 Propane is essentially purchased as needed, and Shrocks’ customers are charged market price – and a fair one at that. O’Reilly is the second generation to take charge of the enterprise, which was founded in 1949. She believes that paying personal attention to her customers’ needs and concerns allows Shrocks to relieve some of the pricing pressures exerted by the presence of a multi-state retailer in town. The cost factors faced by her customers has O’Reilly sharply focused on collecting payment for the services rendered, by setting people up on budget plans and doing more cash-on-delivery business. The COD policy is in effect for just 2 percent of her clientele, usually those that have had payment problems in the past. The budgeted customers are the people who will come into the office at the beginning of the heating season to discuss the financial difficulties they’re experiencing. “You just have to stay on top of it,” O’Reilly says. How are you setting your price for the winter? There are a few ways of deriving the price per gallon, and it’s hard to know which way is best. Really, the answer is fairly simple: Stop worrying about the price per gallon. You know what margin you need to operate your business and how much you want to be profitable at the level you desire. That should dictate your price per gallon. Some retailers hesitate to abandon the tradition of price-shopping their competition, and then price 2 cents below them. The difference is taking a risk you can’t control, over one you can. If you rely on market intelligence or price-shopping to set your price, you and your competition create an environment where everyone risks a low-margin, unprofitable winter season while you try to keep up with each other. On the other hand, if you build a marketing and supply plan that fits your margin goals, you’re taking a risk that you control. What customers care about when they choose a supplier is price stability, predictability and a warm home or efficiently supplied business. When you make it a game of price-per-gallon, you’ve missed what’s most important to them. Instead of trying to be the low-cost leader in your market place, pick a niche that is more viable. Choose to be the retailer who offers customers price caps and level payments. Customers know prices are volatile, and offering them control and stability will get you farther than offering them propane at 2 cents less than the guy next door. In the current propane market, this means moving your risk to Mt. Belvieu or Conway. You can layer in product over time, and have the opportunity to sell off hedge gallons in the event of a price spike, and more flexibility to liquidate your position versus a traditional pre-buy. Retailers who have never had a supply plan in place to secure margins may think that adding margin on to your wholesale cost and delivering the gas at that price is the safest way to go. But, you still assume some risk. If you purchase 10 loads to fill up your storage, and the price drops a dime when you still have 50,000 gallons undelivered, you’ve just lost money. 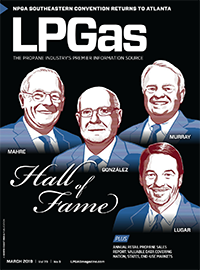 As the propane markets continue to evolve, pricing off the competition is going to drive some retailers out of business. The smart ones will move their risk somewhere they can control it. There are retailers out there with solid supply plans in place that actually don’t know what their competitors charge for gas. And they’re not losing customers; they’re focusing on what actually matters to customers and turning a profit while they’re at it. We surveyed retail propane customers last year to ask them how much they paid per gallon. We can tell you with some certainty that 90 percent of your customers don’t know the answer to that question. So focus on making more money instead. Marty Lerum is a supply and risk management expert at Propane Resources. Jeff Thompson, Pat Thornton and Denny Carroll contributed to this article. In the good old days when a load of propane cost the consumer around $200, retailers could afford a few slow pays. Now that the same load is closer to $600, retailers can no longer carry the slow pays – and there are more of them. Retail propane marketers who haven’t paid a visit to their banker to secure increased lines of credit are most likely in an extreme cash crunch. Wholesale prices alone have doubled what a marketer needs just to buy product, not to mention carry slow payers. So, how do you improve your collections process to ensure maximum cash flow from your customers? One preventative step is to offer billing options that make your customers’ bills easier to manage. When you have customers who only want 100 gallons delivered at a time, those customers have already put themselves on a budget pay plan, but they’re ruining your efficiency by creating their own plan. These customers are perfect candidates for a level payment plan. If you offer one, put more effort into converting customers. You can make it their only option. If you don’t offer one, it may be time to rethink that decision. Consider the customer who regularly pays his bill at 60-90 days – just in time to get the next delivery. They’ve also created their own version of a level payment plan. Wouldn’t it be easier if they were making level payments on your terms? For dealing with those accounts that reach past due status, the most important part is just that; dealing with them. When customers have overdue bills and do not receive communication from the creditor, they will let the debt slide. A consistent process of collections will make a noticeable improvement. By letting past-due customers know that you intend to collect the money, you will raise your chances of doing just that. 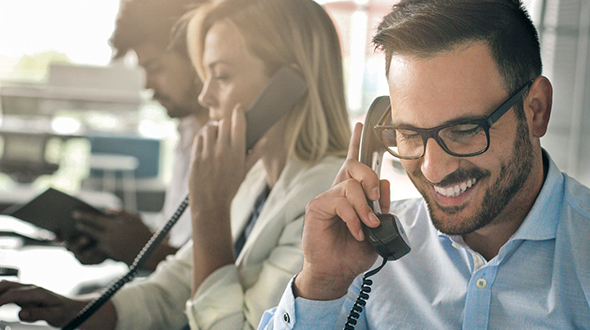 Your process should involve both written communication and phone calls. Retailers shouldn’t fear losing the customer when the collections process is consistent and professional. Customers who are only slightly past due may just need a friendly reminder to send in their check, others may not respond until the communication sounds more like a warning, but either way they are aware they owe you money. Often, customer service staff is reluctant to tackle collections. Collecting money is a tough job for anyone. Getting staff training can help them overcome some of their reservations. Remember that there are laws about how you can collect money from your past-due customers. It’s important to know them and follow them. It also may help retailers and their customer service staff members to know that money is more likely to be collected the less delinquent it is. Once a customer reaches 90 days, chances of collecting have decreased significantly.